The Spy-master has a tendency to wander about but you are almost sure to find him north of the bank/general store, which is the first building on your left as you enter town. 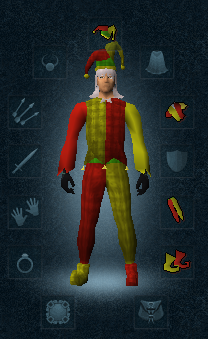 Apparently inconspicuous in his jester outfit, close to everyone walks around looking like a fool, right, you will need to contact him by relaying the magic phrase: "Free stuff please". Now off you go to the Long Hall/Clothes Shop, which is just across the street. 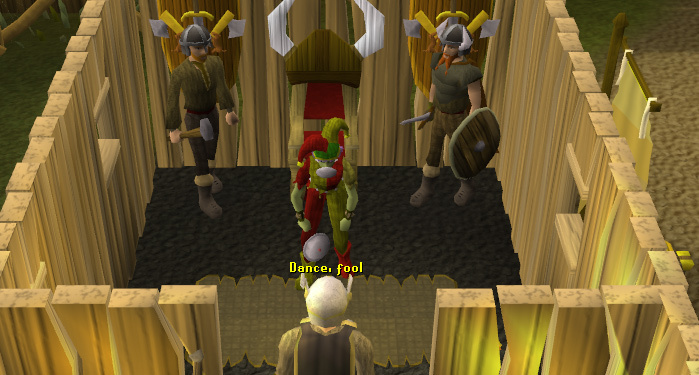 Present yourself to Mawnis Burowgar and he will see you as a fool, jester that is. Get ready to entertain and you will enter a cut-scene. 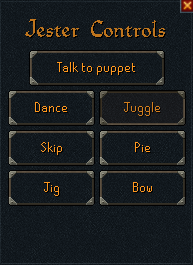 The interface is pretty straight forward and explains itself. Go to the bank across the street and take out your trusty hatchet. Head out of the village and you will see a few Arctic Pine Trees. 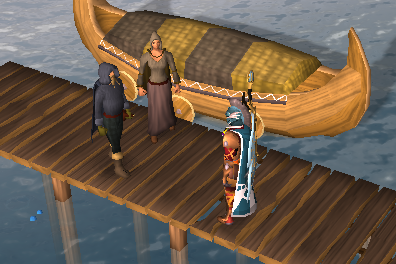 Cut eight logs, and then find the Woodcutting Stumps near the bridge leading from the village. 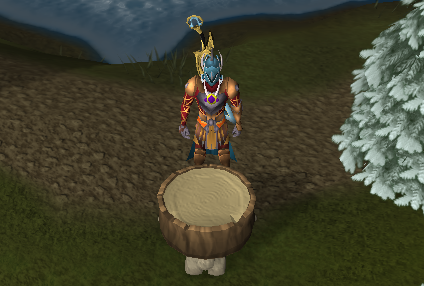 Use your logs with them and you can choose from two options. At this point only the second one, Arctic pine split log, will work. Time to prepare for battle. Best advise is to wield the armour you just made, it seems to have the best Defence. Against the Trolls you are about to meet. Prepare wisely, both the route to the dungeon and the fight with the Troll King are not at all easy. There are two melee strategies that work equally well: Use Protect from Melee and stay out of the way of the ranging Trolls, or the other way around. 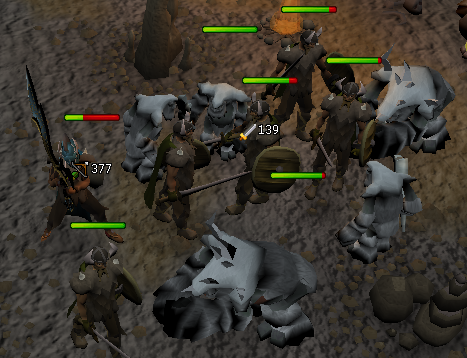 Use Protect from Range and stay away from the melee Trolls. Once you are done you can resupply at Bjork Sigmundson. 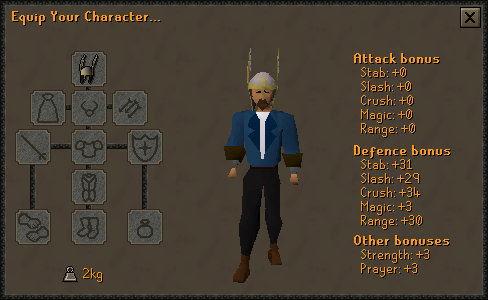 He will give you four 3-dose prayer potions, three 3-dose strength potions and up to six tuna. Run south toward the bridge and cross it. Your 'screen' will start to shake and the King will enter. He will attack with Range, Mage (ice barrage) and Melee when you are within reach. His melee attacks are the most dangerous. He can hit for up to 300 Life Points. Range and Mage attacks are limited to 90. 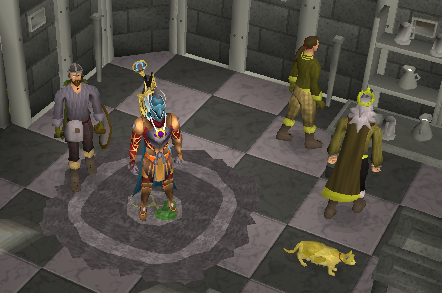 Do not attempt to activate the protect from melee prayer as he will throw you across the room. Whip out your Halberd (or any other weapon) and start hacking away at the unfortunate victim. 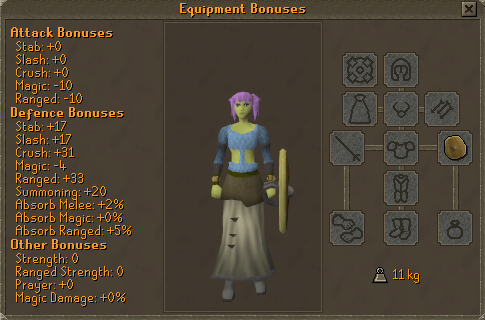 Finished, you can now leave and return to Mawnis Burowgar and present the Troll King's Head. You will be offered the Burghers helmet and you will need to choose in what two skills you want 10,000 xp. You can choose between Attack, Strength, Defence, or Constitution, and you can receive experience in the same skill twice. [^] Take off jester clothes. [^] Gather 8 ropes, talk to Mawnis Burowgar and hand him the ropes. 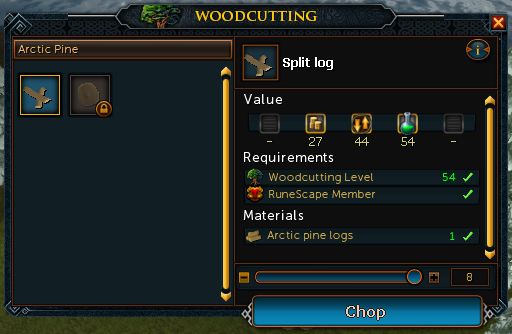 [^] Cut 8 Arctic Pine logs, go to the center of town and use the tree stumps there to split them. [^] Back to Mawnis Burowgar, hand over the logs. [^] With 8 ropes, 8 split logs and a knife in your inventory: Head out the village, across the first bridge. Repair the next bridge you see. Back across the bridge, head east and repair the last bridge. [^] Back to Mawnis Burowgar, click through the conversation. [^] Back to Jatiszo and talk to the king. 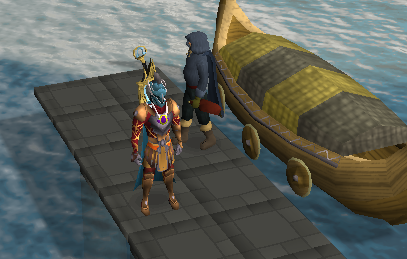 [^] Back to the king and Thorkel Silkbeard. 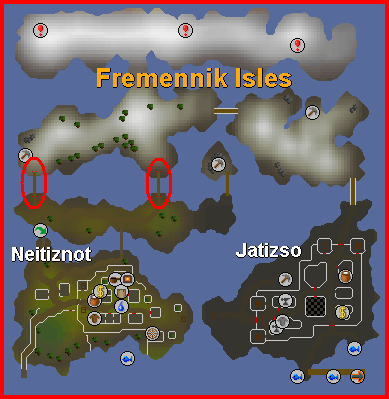 [^] Travel to Neitiznot, talk to the jester (wear jester outfit). [^] Take off jester outfit. 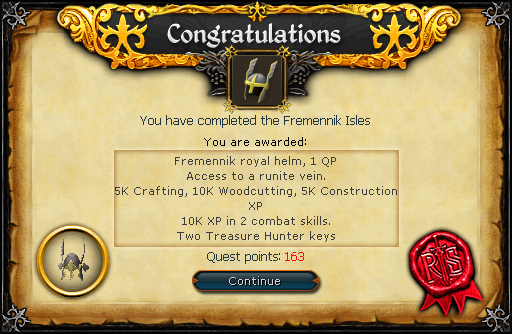 [^] With the Royal Decree in your inventory, back to Neitiznot. [^] Kill 3 yaks, take the hides and bring them to Thakkrad Sigmundson (close to the Burgher). 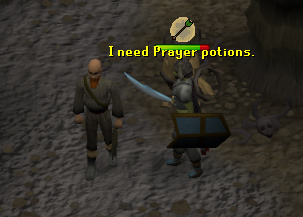 He will cure them for 15 gp. 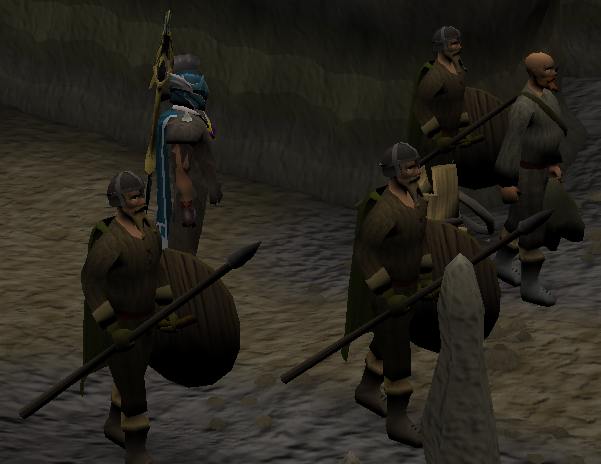 Use needle on them and make Fremennik Armour. [^] Talk to the Burgher again. 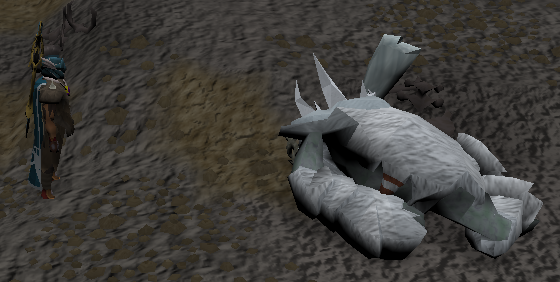 [^] With 2 Arctic Pine logs, 1 Bronze nail, 1 Rope and a Hammer in your inventory go to the stumps in the middle of town and make a Round Shield. [^] Speak to the Burgher. [^] Prepare for the fight. [^] Head north over 2 bridges then north-east to reach a peninsula. Run east and enter the dungeon. 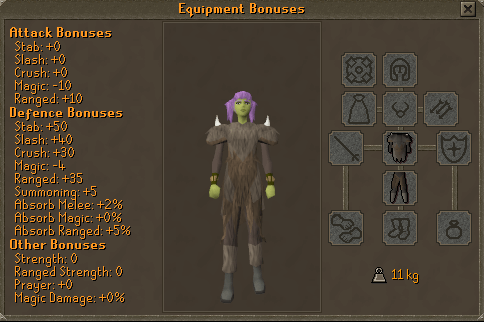 [^] Kill 10 Trolls, ask for supplies afterward from Bjork Sigmundson. [^] Head south past the Trolls and across the bridge. 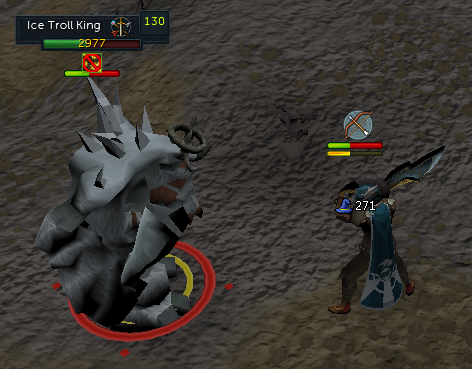 [^] Kill the Troll King, once done click his corpse to get his head. [^] Back to the Burgher and click through the conversation.